Now available in our NEW SATIN BLACK ANODIZED FINISH!! Clean up your handlebars with these ISR switch assemblies. 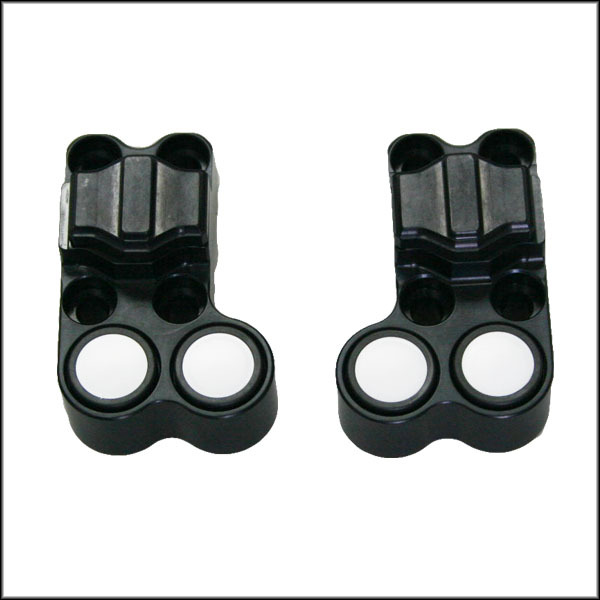 Replace the standard ISR handlebar clamp with these built in electronic button clamps. Max current for slide buttons are 6A. Max current for push buttons are 25mA. Available for left hand or right hand controls.